Oh My, That's a Big Camera! Last December we were visiting family in the Miami area of Florida. We went to one of those wealthy-person's-estate-turned-tourest-attraction and paid the hefty entrance fee. I, of course, had this big DSLR camera strapped to my body (or my body strapped to the camera). After making payment equivalent to a day's wage, the clerk in the money-booth looks straight at me and says, and I quote, "If you are caught taking photos inside the building, you will be escorted off the property immediately". Whoa! What did I do to deserve her wrath? Oh, I have a big camera! Oops. Yet every person in my five-person party, including an 11 year old, had smart phones capable of having pictures in mass distribution on the Internet even before leaving the scene of the photo-crime! Now, if any big DSLR caddy hasn't been subjected to this level of you-will-probably-misbehave mistrust, whether verbalized, posted, stamped, etched, written or otherwise implied, then I propose that such person hasn't been seen in public with said big camera. On another occasion, I visited one of those pay-to-visit historic communities in Massachusetts that had a newly installed anti-photography policy. (I'm not referring to photographer-friendly Sturbridge Village here.) Here too was a no-photos-inside-the-buildings policy. This policy was explained to me after paying the admission fee that was higher than the cost of gas to get there. When I inquired why this policy wasn't stated on their website, the money-changer explained that the policy was recently enacted as a result of a "lady with a camera who backed into a display while taking pictures". Ok, so a camera makes users clumsy. This is probably because it's much more interesting to view displays on a tiny 2" LCD. If learning of such policy after traveling and payment wasn't enough, one of the building curators, having found new meaning for her job, watched me, with my dangerous Big Camera dangling from my neck as if a weapon of impending destruction of her displays, like a hawk. She even felt the need to remind me of the rules upon entry to her building. I'm okay with these anti-photography policies. I get it. The flash destroys paintings (a decades old myth perpetuated by curator fear), tripods are a trip hazard, we'll back into displays and we're going to somehow damage the commercial value of properties with our photos posted on Flickr. But the reason I really get it is because it's their property and they get to make up any rules they want, as long as the rules are within their legal right. Private property owners get to be as friendly, or unfriendly, as they want toward photographers...and we get to decide if we will honor their property in photography, let alone pay their often-whopping admission fees. I think there are couple lessons to take away from these photography policies. First, we need to respect the wishes of property owners even if their photography restrictions seem capricious. Second, we need to be ready to forgo taking photos of a location comfortable in the knowledge that their are still bountiful opportunities for great photos elsewhere. Third, is that we get a chance to demonstrate respect for the property by following the photography rules. Perhaps in time admission-based property owners will realize that photographers can help them market their attraction through well-made photographs posted online for non-commercial gain. Or property owners will welcome photographers who will tell other photographers about the photographic opportunities to be had at that site, complete with visual proof of the site's value for photography, or themselves return many more times. In my personal experience, there is one shining example of a photographer-friendly location that I return to time-and-again, and once even brought 6 other photographers with me, who each paid the entrance fee. Mystic Seaport Museum in Mystic Connecticut is openly photographer friendly, allow the use of tripods and the staff never cast a suspicious eye toward photographers. (Ask before shooting for commercial purposes.) Not only are there rich photographic opportunities at this gorgeous location, but photographers are not made to feel they are being intrusive. My photos from the Mystic Seaport Museum are my most treasured because they are wonderful shots and I always felt welcomed there. 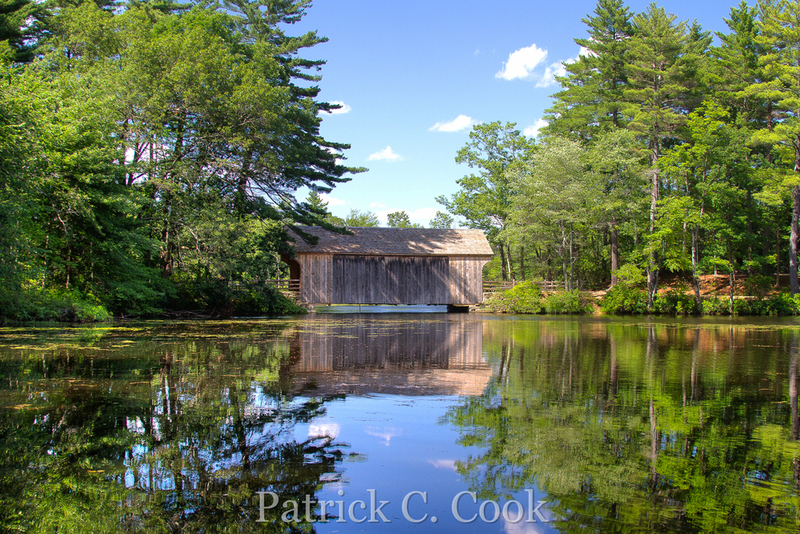 I would like to add one more site as being very photographer friendly; Sturbridge Village in Massachusetts is a photographic rich environment that is very welcoming to photographers. So, when you visit private attractions be prepared to be subjected to some level of photography restriction, but respect their rules anyway. And don't be surprised if the degree of suspicion of being a potential photo-wrongdoer is proportional to the size of your camera. But when you discover a location that is photographer friendly, enjoy the opportunity to its fullest. In all cases, do nothing that will give site management any reason other than to love photographer visitors. As always, we must leave all photography sites the same as we found them. Not better - the same. But we must also do our best to help people learn to trust that photographers are particularly respectful of property and appreciative of the opportunity to photograph.